For the past month or so, I have been unable to make video calls with my native Lync client on my Lenovo T510 Laptop. I thought this error appeared at the same time as I updated my video drivers, and thought it all was related to a driver issue (and so did many of the suggestions I found in different forums). 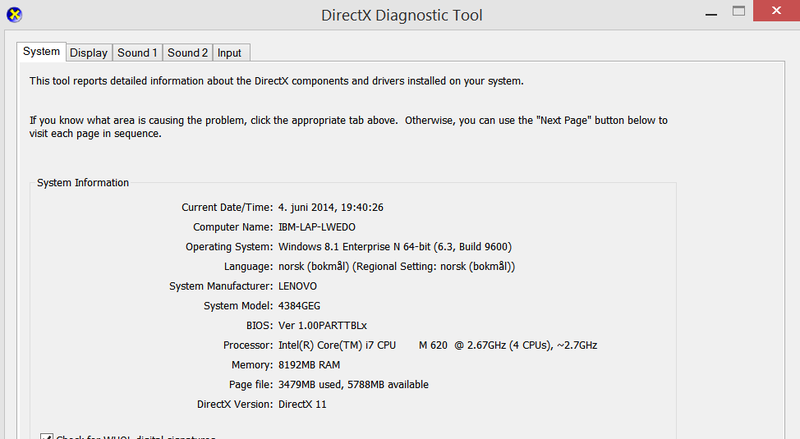 But yesterday a new video driver was installed, and Lync still misbehaved. I figured it was time to take the gloves off, and try to solve my issue (I'm quite fond of video calls, and taunt others when they forget to engage in video). 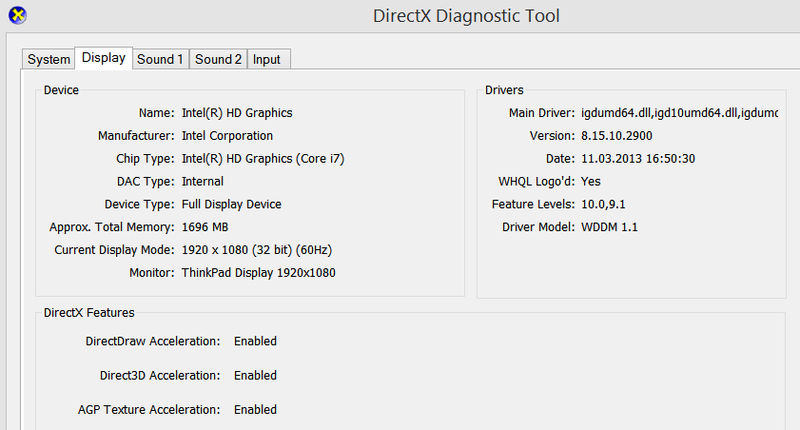 First off, here is a screenshot of my DXDIAG output, showing the hardware I have. I started by trying to "repair" office through the control panel. No change. Next I uninstalled Office 2013, booted the computer and re installed Office 2013 and all it's updates. The problem did not go away. I then added Service Pack 1 for Office (which adds a few Lync KB's as well). Now, the Video stopped working. Having thought I knew the error, I uninstalled Service Pack 1. To my surprise, Video still did not work. Next I went back into Windows Update and looked for installed updates. Here I found updates for Lync installed (even though I had installed none other than the SP1). I removed all the individual updates I found, and the video started working again. To me it appears the un-installation of Service Pack one does not remove all the updates it adds to the system. 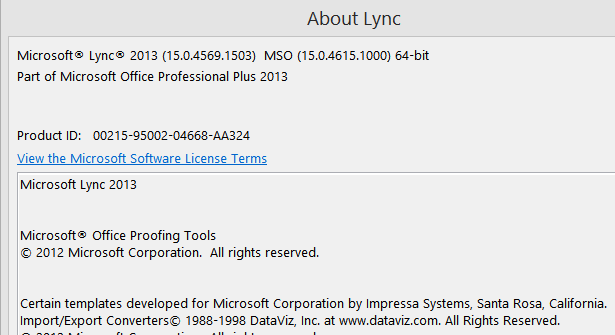 But now I had the Lync 2013 RTM installed, not quite what I had in mind. I browsed a couple of kb's and found the February 2013 update for Lync. I installed this patch (KB2812461 - February update) and added the security patch (KB2850057 - December update). I have tried to install KB2817678 and KB2880980 separately, but they both lead to my video crash issue. I have also noted the KB2880980 is registered as a viso and a project update. Now then, until I know for sure there is a fix to my issue, I have excluded SP1 and the following KB's from Windows Update. Not sure how many else out there have experienced my video issue, I hope this post can help someone in my situation. And yes, I am "available - Video Capable" again!